Thanks to his parents' prayers and his own fervent plea to the Lord, the interview for admission into the Sri Sathya Sai Higher Secondary School went smooth. Pratim knew he was in. The panel had indicated as much. He was relieved but strangely he also started worrying about his future. When he looked at the place, and the serenity and discipline that pervaded everything, he thought, “Can I really adjust to this place? Will I not be a misfit? Everyone here is so quiet. Will I be spending my time here only in prayer and meditation? What about my life and dreams? Can I ever play? Will I become a monk?” His restlessness grew with every passing hour. Were bhajans new and boring for him? While he was slowly getting used to bhajans, it was the same with the hostel, its rules and its spartan and disciplined way of life. “Actually my father was concerned if I would be able to adjust to the simple life at the hostel,” he explains further. “In the Scindia School, I was used to being served by waiters, eating meals on elegant dining tables with exquisite cutlery, servants looking after the cleanliness of my rooms, clothes, and in fact everything. But here we had to do all this ourselves. Many things were new to me. “I remember during my first dining session, I squatted on the floor and there was this boy who went around with a bucket saying ‘Rasam... rasam...’ Coming from a Bengali background, I thought he was serving rasogulla (the popular Bengali sweet dish). So I extended my glass to him. The boy quickly understood that I was a fresher and said, ‘No brother, rasam is meant to be eaten with rice’. I meekly said, ‘Okay, thank you.’ Like this, slowly I adapted to this new way of life. 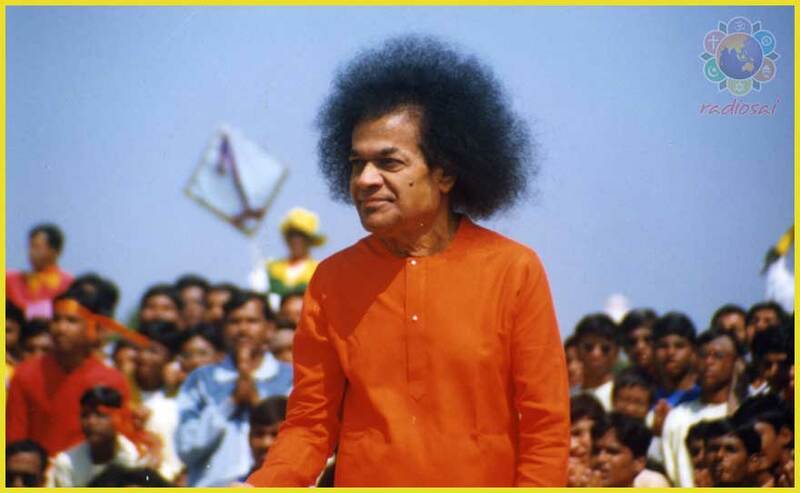 That summer Bhagawan had had a fracture and when the teachers from Prasanthi went to Him for blessings before the start of the academic year, He had told them that He would return on the 9th. 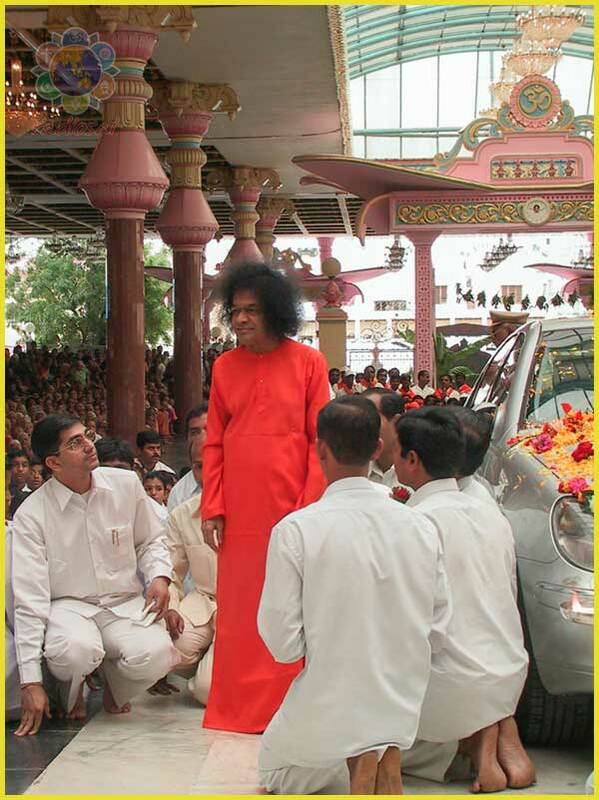 Everyone expected Him on June 9th as Bhagawan generally returned to Puttaparthi in that month. The Lord did keep His word. He came on the 9th, but a month later – on July 9, 2003. “Until then I had not gone to Mandir. We used to do bhajans in the hostel,” Pratim continues. “And that was the first time I was entering the sacred premises. A classmate was showing me the different areas and explaining, ‘This is where bhajans happen... Swami gives interviews there... VIPs sit here... Swami enters from here...’ While he was giving me the tour, we were caught unawares when within minutes Bhagawan's car entered! “As I looked up and saw the Orange Robe inside the car, I do not know what happened to me but I just started crying. It was uncontrollable. Unexplainable! The classmate thought I was probably sad because of Swami's recent operation. He tried to console me, ‘It's ok, Swami will be fine. Don't worry’ and so on. But that was not the reason why I had tears. “Frankly, I too had no clue. Something happened within. I just started weeping like a child. I guess that one glimpse of Him touched something in the core of my being in a manner that had never happened before. That's it. The dam broke. There was a deluge. In fact after some time I started feeling very uncomfortable. It was embarrassing because everyone was looking at me and I didn't know how to stop my tears. Fortunately, after a while the flow stopped. That was enough motivation for Pratim to get to it right from that day onwards. “Every evening I used to rush back from Mandir to the hostel, quickly change and go for my athletics practice,” he recalls. “There were many athletes in my class and no one was practising. But that did not deter me. I was clear about my goal and I wanted to put in all my sincere efforts. Besides, there was no other way for me. I was not a singer then; I was completely unfamiliar with Sai bhajans. Nor did I know Veda chanting. So sports was the only way to get close to Him and I practised really hard for 2-3 months. And it did pay off. “I took his advice. However I didn't have time to prepare. I had never tried my hand at shot-put before. Nevertheless on the day of the event, I took that heavy metal ball in my palm, kept my head high, eyes fixed on the gigantic Hanuman, and with a fervent prayer, I flung it with all my might. You wouldn't believe – I broke the school record! “Then came my final sport – the long jump. This was my pet event. I had always won prizes in this competition. By this time, I had already won first place in four events. So I was, in principle, the athletics champion of the school. The only thing going on in my mind now was ‘I am going to set a new record in the school – the exceptional athletic champion who routed all opponents to lift the winner's cup in all the five events’. I was eager to jump; I could not even imagine the adulation I would be receiving from my classmates for this fantastic feat. “My name was called. Absolutely confident, I did my first jump. It was a foul. It cannot be! ‘Doesn't matter, I will do it now', I told myself and jumped again. Foul again! I was dismayed beyond belief. This cannot be me! I had only one more attempt left. ‘This time I will make it!’ I encouraged myself and leaped. Foul! For the third time! I was disqualified from the event. I did not know what was happening to me. “This was a big shock. I did not win a prize in the event in which I was most confident. Something was not right. I was faltering somewhere. This led me to introspect. As I ruminated on all the events in the past few days, I figured that in shot-put I created a record but I had no previous training in it. However there I did not rely on myself. I had completely surrendered to Him. I made history. “But in long jump I was so over-confident of my abilities that I did not bother to even spare a moment thinking of Him. Besides, becoming a super achiever and a ‘super hero’ in the hostel was overriding my mind too much for me to think of anything else. It is remarkable to see how Pratim's thought process had begun to change in a few months of stay in Swami's school. “Honestly, every day I became a surprise to myself,” Pratim explains. “I used to wonder ‘How am I thinking like this? What is this thought experiment going on in my head?’ So much was happening inside me. The best part of course was the number of opportunities we got with Swami. 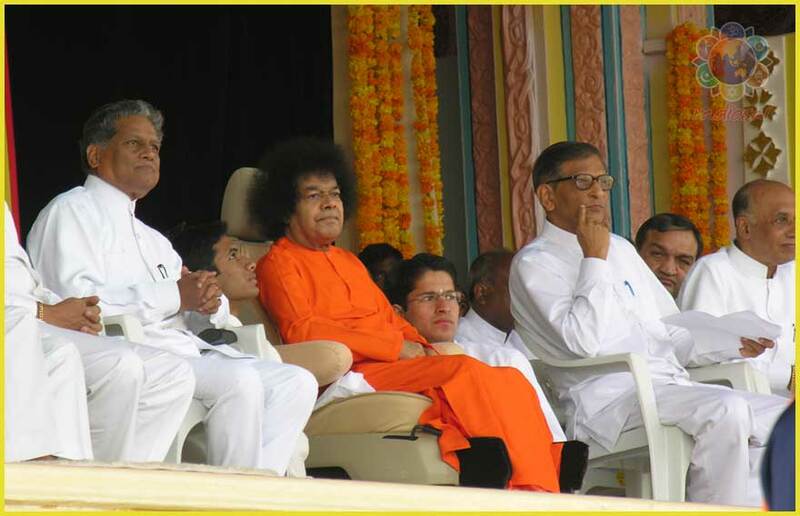 In those years Bhagawan was eager to watch any number of programmes by the students. This was the time, after 2003, when Swami loved to sit outside for long and if we were ready with any presentation, He would give us a chance. I remember in my XII grade we did two programmes in a span of four days! What is more, we did these during our annual public examinations. But that never affected our academics. These extracurricular activities really increased our focus and helped us grasp the subjects with ease; we could absorb the maximum lessons in minimum time. “Only then I realised the difference of studying in Swami's school and elsewhere. We do a million things here and at the same time excel in academics as well. And this happens quite seamlessly and effortlessly. The confidence and competence that this system builds into us is extraordinary. Of course, there is also Bhagawan's ever-protecting grace. “Those two years in the school really laid a solid foundation for everything else that happened and is still happening in my life. Even though I had messed up the entrance test, I prayed and I saw the result of heartfelt yearning. With this, the power of prayer got cemented in my heart.